Mint Chocolate Cupcakes- for our competition winner Angela. 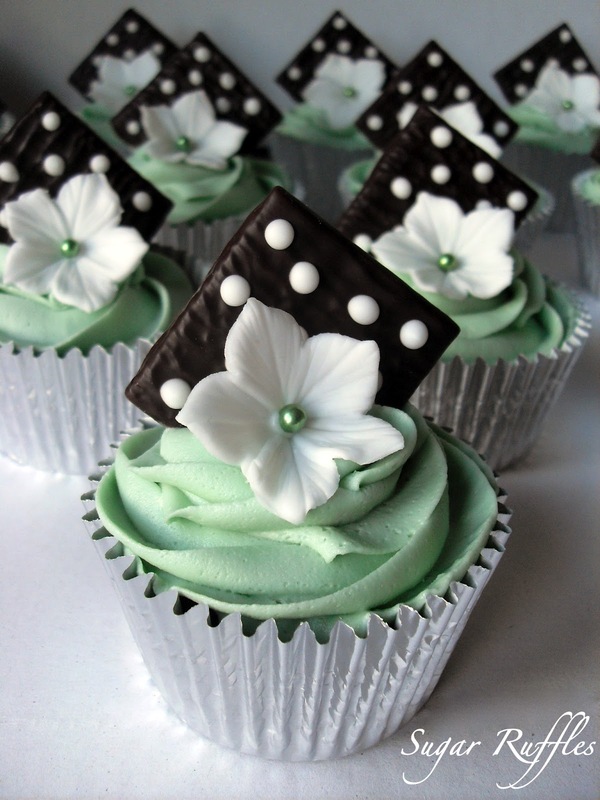 Chocolate cupcakes topped with mint buttercream, after eight mints with polka dots and petunia flowers with green pearl centres. Congratulation Angela and thank you to everyone who entered.